How do specific activities and institutions in which people are involved fit into the overall adaptive strategy of their society? What are the particular pressures leading to change in each of these spheres when the group's strategy of adaptation changes? What are the human demands made by a hunting-gathering strategy that lead to the development of particular family systems, modes of social control, religious beliefs and practices, values and ideologies, and personality structures? What are the new human demands that lead to the reorganization of these aspects of life as the group moves from one level of development to another? 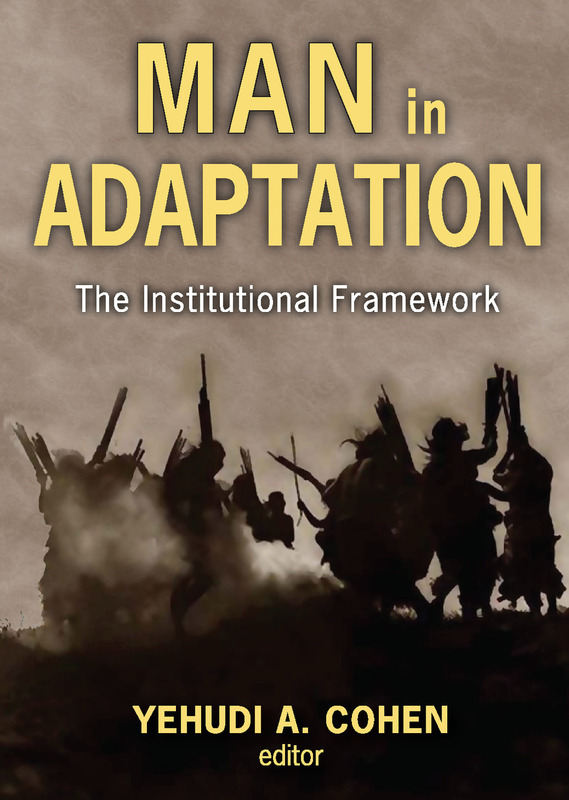 Man in Adaptation: The Institutional Frameworkintroduces the institutional, psychological, and ideological dimensions of the strategies of adaptation that have characterized human societies from the earliest known forms of social life to the present. Cohen includes topics that are of principal anthropological concern—notably marriage, law and social control, religion and magic, value systems, personality, and art. There are no studies that deal with cultural change as such in this book. Where possible, Cohen includes articles that deal with changes in particular spheres of activity, such as family organization, law, religion, and value systems. He argues that change is not a special situation. Instead, culture is change and change is culture, and it is unrealistic to study change outside the specific social and technological organization of a given society. This volume unifies the subject matter of anthropology within a single and powerful explanatory framework and incorporates the work of the most renowned anthropological experts on man.